Earlier in the day today, Hillary was questioned by the FBI for about 3 and a half hours. Though there is no shortage of shady dealings they could be questioning her about, they were surely talking about the email scandal. Just a few minutes later, check out who was seen coming out of Hillary’s home. 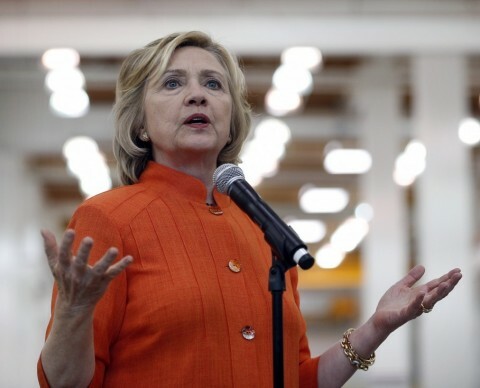 The interview was anticipated as reports came out that Clinton was scheduled for a meeting. Key witness Cheryl Mills, Clinton’s former Chief of Staff in the State Department, was seen leaving Clinton’s residence this morning around 10 a.m. according to Fox News, which showed video of Mills leaving the home. This week Hillary Clinton’s husband, former President Bill Clinton, took a private meeting with Attorney General Loretta Lynch that brought serious scrutiny over the appearance of impropriety. The meeting occurred aboard a plane on a Phoenix airstrip and comes as the FBI, under the U.S. Department of Justice is investigating the former Secretary’s use of an unsecured email server during her time as head of the State Department. Lynch claimed that the conversation didn’t include talk of the email server scandal and they spoke of grandkids, Clinton playing golf during his time in Phoenix, and former AG Janet Reno. The 30 minute meeting was discovered when a source tipped off local news outlet ABC15. Hillary Clinton gave a “voluntary interview” to the FBI today regarding her email arrangements while she was secretary of state, her campaign says. The interview occurred at FBI headquarters in Washington, D.C., and lasted approximately three and a half hours, according to a Clinton aide. The FBI is in the final stages of its email-related investigation, looking at how Clinton and her aides handled classified information when she was secretary of state. So there have been a lot of conclusions drawn as to what this meeting meant. Surely nothing went down when Bill Clinton met with Loretta Lynch who just happens to be the “ultimate decider” in this case. Also isn’t it fishy that Bill met with Lynch just before the FBI showed up?